It feels like we have been on a rotation of breakfast meals around here lately. We even had breakfast for dinner, which I think is one of the easiest meals to throw together at the end of the day. You have to admit it takes virtually no time at all (and not much skill either) to fry up some eggs. We normally have granola cereal in the morning (and my husband and I both agree we love it so much that it’s hard to imagine ever getting tired of it). Not to mention that a big hearty bowl of oats, nuts, and seeds will hold me over beautifully until lunchtime. I pretty much don’t eat an ounce of food from breakfast until lunch and most of the time I am not even hungry until at least 1 or 2 o’clock. So you might understand why it was such a sad moment for me when two mornings this week we were completely out of granola. It’s all my own fault of course since I am the one who makes it, but that still didn’t prevent me from being disappointed (and feeling a little off my normal fullness schedule). 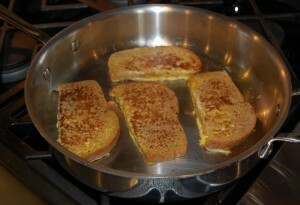 So one morning I made French toast (pictured below) along with some fresh fruit for the girls and me to share. It was good and simple, and they had second and third helpings, which is always nice. Another morning it was oatmeal. I actually don’t even like to eat oatmeal, but what I do love about it is that it’s so easy and quick to make (I just microwave it for a couple of minutes) and both of my girls scarf it down every time. Since I don’t eat oatmeal myself, I had to figure out another alternative. After some brief thought I decided it was worth it to finally make more granola and wait an hour and 15 minutes to eat it. Now that is dedication! And boy was it good. My husband is away on business this week, and it’s been a while since he’s gone anywhere so I almost forgot to prepare some snacks for his trip. I threw together some Lara bars, dried fruit, and granola cereal (which is why we didn’t have any left!) mixed with some shredded wheat. I also gave him a banana and an apple. The first night he was gone he said he went to the Outback and very much enjoyed a piece of grilled salmon with veggies and a salad. So I think he is making out just fine. Since my husband is gone I decided to have a girlfriend and her two kids over for dinner one evening. It seems that I am always making family dinner meals these days instead of making “kid” meals anymore. 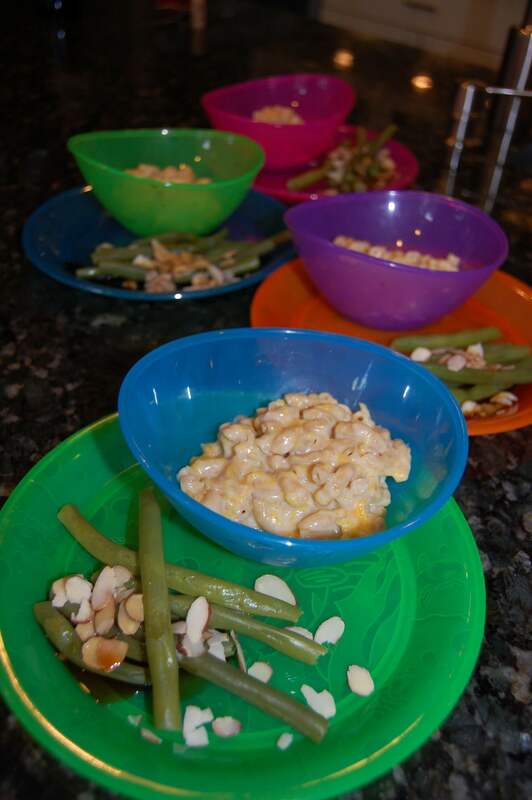 So after my friend confirmed that her children would eat a macaroni and cheese dish (that looked nothing like it came out of a blue box) I decided to go with it. I just boiled some whole-wheat macaroni noodles and whipped up a white cheddar cheese sauce with a little roasted butternut squash added for color (and nutrition of course!). I gave them green beans topped with almonds and soy sauce on the side. Just about every kid cleaned their plate and my girls even asked for seconds! That always makes my day. So for dessert (if you even want to call it a dessert!) I decided to try making some of the banana ice cream I posted about the other day. Thanks to a few readers who left comments I learned that it really is as easy as freezing some bananas, putting them in the blender with a few splashes of milk, and going to town. I cannot believe how creamy and good it was! I just wish I had made more so the adults could’ve had their own bowls, too. Then today, I prepared some more “kid” food except this meal carried even more restrictions than we are used to. My 5-year-old’s little friend who was over has always been allergic to nuts/tree nuts, but recently learned that he also has to avoid gluten. So what does one get when real food meats nut and gluten free? Fruit smoothies, apple slices, and cheese quesadillas on corn tortillas! I’ve never made corn tortillas before (but had been wanting to try) so it was the perfect excuse for me to give it a shot. One thing I learned today is that it is A LOT harder to make these than the flour ones! I am sure there are more tricks I haven’t learned yet, but quite a few had to be thrown out, and the ones that made it through were very misshapen. The dough would either just crumble in your hands or stick to everything so it made things very challenging. But, the kids did enjoy them (after patiently waiting forever for me to produce at least a few crazy looking edible ones), and the best part was that our little guest with all the allergies especially loved them! He said how much he liked them numerous times (which again makes my day), and asked that I teach his mom how to make them. I hate to put that on anyone after what I went through today, but I certainly wish her the best of luck in figuring it out! This is not really pertinent to this post, but I was curious if you’ve lost weight with this change of diet? 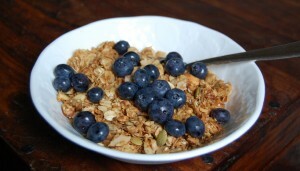 Thanks for posting the granola link – I might have to try it! I love granola! I just checked out those sites, and I agree with you that we cannot tell a difference when I add spinach to our smoothies either. I just need to remember to add it more often! 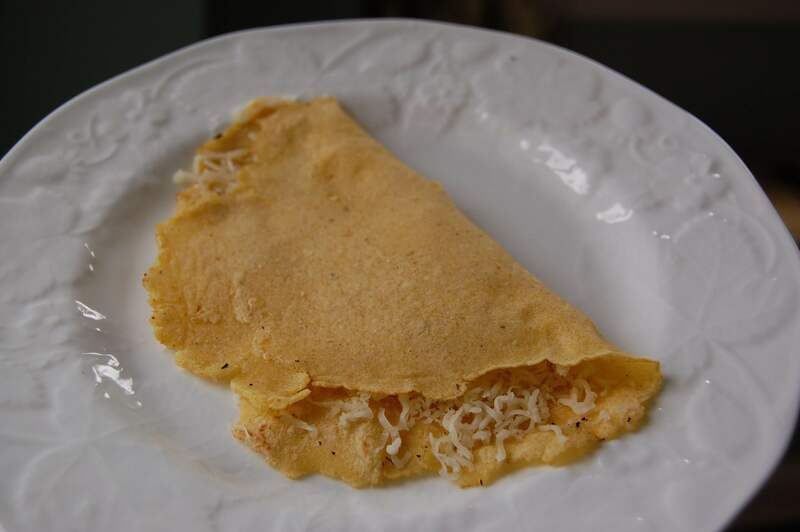 You wouldn’t be posting your recipe for corn tortillas on your other blog would you? I’m a sucker for punishment. Either that or I’m obsessive about trying new things and I’ve never tried to make corn tortillas. Here in Canada it’s harder to buy them too so making them would be very useful :) Looooove banana soft serve, by the way. You can add peanut or almond butter to it too. Even adding some other fruits work well too( I know mangos work really well). You could even add that chocolate sauce you talked about in a previous post. Yum! Oh peanut butter and chocolate sauce would be great additions to the banana soft serve…we will definitely have to try that b/c we are loving this new discovery! Also, I think I need to figure out a little easier method for making the corn tortillas before I post the recipe. I used Bob’s Red Mill Masa Harina flour to make them. I started with their recipe on the back (which is the one that was so difficult to make). Also, FYI – even though the Masa Harina does not say “whole grain” on the bag it is technically still whole grain (according to the Whole Grains Council). Apparently, due to the way it is soaked in the lime water it is an exception to the rule! I have been making Vegan Overnight Oats with Banana Soft Serve for breakfast. I used to hate oatmeal, and recently started eating it all the time. 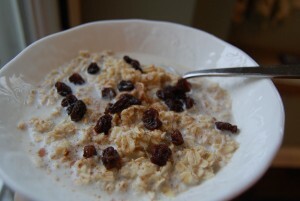 But in the summer, it is hard to swallow down hot oats. So when I found this recipe on another healthy living blog I was hooked. I make it almost every morning and it is so good. I’m sure your girls will love it! 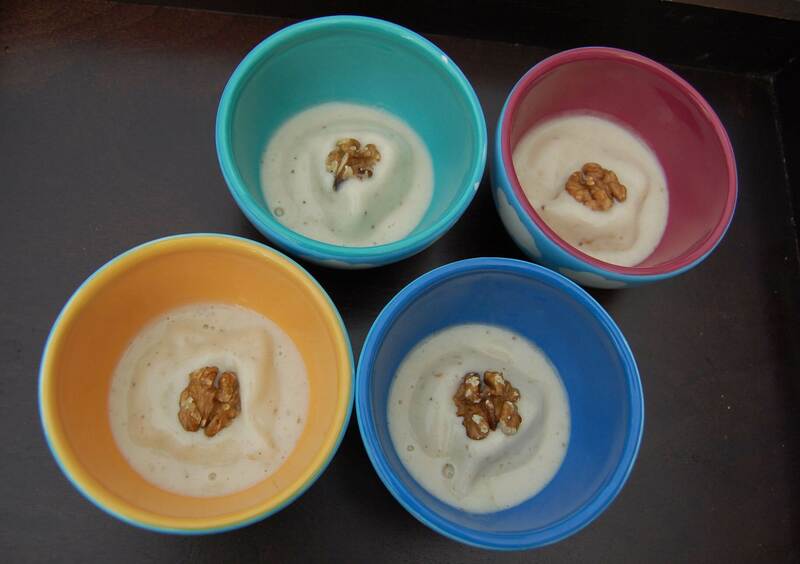 We are in love with banana ice cream too…never thought about combining it with oatmeal. Thanks for sharing! Whole wheat banana pancakes with a dash of cinnamin makes a wonderful breakfast with a side of sliced fruit! We’ve been trying to make *some* of your recommended changes, but haven’t gone 100% yet. The blogs are great – I hope you keep updates going after the challenge ends. Fruit smoothies are always a big hit! Thanks again for all your effort with the corn tortillas!!! He really liked them and wants to know when I will be making them for him. I know this is an old-ish article, but did you ever wind up looking further into tortilla-making methods? 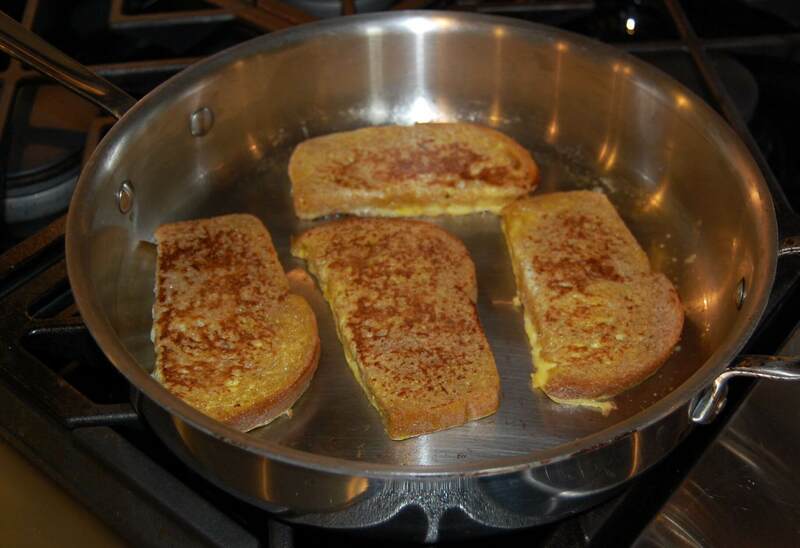 In case not, I’d like to let you know that the most widely used and easiest method is with a tortilla press. ;) Flour tortillas are always made by hand, but corn tortillas only work well that way if they’re made extra-thick, which is traditional. Trying for that thinner, machine-style tortilla is where most folks run into the same problems you had. Though most Americans don’t realise it, making corn tortillas without a tortilla press is like making waffles without a waffle iron!